Analysis released this week finds that more English councils than ever have decided that they must cut council tax support budgets because of the funding pressures they face. Research by the New Policy Institute (NPI) shows that 340,000 of the poorest families in England will be hit by a tax increase this April as councils cut support for a fourth successive year. Localised Council Tax Reduction Schemes (CTRS) are budgets that provide help to low income households to pay their council tax bills. This is a predictable outcome from the decision to localise support in April 2013, while simultaneously cutting support by 10%. The majority of councils now require all working­ age residents to pay at least some council tax regardless of their income. Of the 351 councils in England nearly 75% (259 councils) require residents to make a minimum payment towards their council tax liability. Over two-fifths of councils (144) ask for a contribution of at least 20% whilst nearly one in five (67 councils) ask for over 20% of the charge to be met. Policy in Practice is helping councils to model the costs and impacts of future schemes. Looking ahead at schemes from April 2017, we are seeing a trend towards higher council tax liability, with increases of up to 3.99%, which has a knock-on effect on the amount that unprotected low income households have to pay. We are also being asked to model simpler schemes, and helping councils to look at who might be impacted by different schemes. You can access more information and analysis on the localisation of Council Tax Support here. The research shows that from April 2016 a total of 2.2 million low income families receiving Council Tax Support (CTS) pay on average £169 more per year in council tax than they would have under the former system of Council Tax Benefit. This includes 340,000 seeing sharp increases in their council tax from April 2016 as their council cut the support available. The 340,000 families facing significant rises in their council tax from this April include 70,000 living in areas where the council has introduced a minimum payment for the first time. On average these families will be required to pay £171 in additional council tax. In Luton, which this month introduced a minimum payment of 25%, over 11,000 low income households will pay on average £240 more per year in council tax. 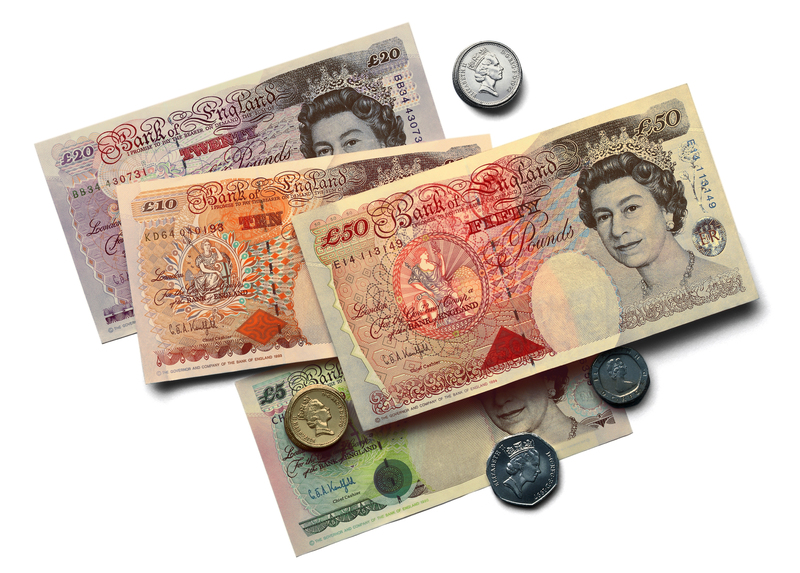 Four councils in East Sussex introduced minimum payments of 20%, whilst Wandsworth in London replaced several other smaller changes with a minimum payment of 30%. The remaining 270,000 families facing a significant hit are in areas where the minimum payment has risen. Kettering Borough Council, in Northamptonshire, increased its minimum payment from 25% to 45%, and now has the highest such minimum payment in England affecting 3,800 people. Here a single jobseeker with an income of £73.10 per week will be required to spend roughly 10% of their weekly income on council tax. Ten other councils now have a minimum payment of at least 30%. The research shows that councils are raising funds by increasing the council tax liability for their poorest residents. After the first two years of CTS it appeared that minimum payments were trending towards 20% but now in its fourth year more councils are exceeding this level. 67 councils now have minimum payments over 20%, 14 more than last year. Policy in Practice argues that Council Tax Support should be integrated into Universal Credit, as originally intended. Deven Ghelani, Director of Policy in Practice, said “We are helping local authorities across the UK to accurately model council tax support schemes, taking into account all other policies including the increase in liability of up to 4%, the impact of other welfare reforms and the benefit of the National Living Wage, and increased personal allowances. Policy in Practice recently hosted a webinar with Paul Howarth from the Welfare Reform Club and Daniel Cavanillas from Policy in Practice looking at CTRS schemes, outlining how we’ve modelled options for future CTRS schemes in detail for various councils. The impact assessments are used to make informed policy decisions by officers and members. Daniel also shares some information about the CTRS schemes we have created for North Hertfordshire, Leeds City and Newcastle City Councils. View the webinar recording below. Alternatively, view the full slide deck (no audio) here. Previous Post How to future proof your CTRS scheme for Universal Credit Next Post Does Universal Credit still make work pay? Universal Credit gets more people into work: but by how much, and is it the carrot or the stick? Thanks Paul, Malcolm for your comments. The government published their independent review of CTRS schemes this week, I thought I would edit the blog to take this into account. Paul, I completely agree with your points and suggested to the NPI that they undertake an analysis of both increased liability, and reductions in central government support in their next report next year. Malcolm, you should take up your points on the merits of a discount with Eric Ollerenshaw, the author of the report. It looks like he agrees with you on UC, so perhaps he will agree on a few other points. In the view of the Welfare Reform Club the NPI report begs the “so what” question. While quite rightly there should be concern that councils are reducing financial support to low waged taxpayers but we see that the problem with the CTR schemes is that are just a means-tested benefit. * what is CTRS for? * should it be a simple discount? * is there a better way to assist the vulnerable and those in real financial stress than through overly convoluted means-testing? We know there are better ways of identifying those in need from existing council data. This sort of data analysis means that we can target those where financial help is linked to outcomes that are more likely to create improvements their lives. Why is this important? We can see from the NPI report that Councils who are under real financial stress themselves need to target any financial assistance to where it will have the most efficient outcomes. The reduction of council tax arrears being one such outcome close to a billing authorities heart. But this cannot be achieved through discount schemes. Discounts are intended for those taxpayers who have non-financial circumstances that prevent them from making a full contribution to their council tax. Therefore, using a means-tested financial support is both prohibitive and counter-intuitive. It is also not cost-effective. Financial hardship requires a different supporting scheme that runs alongside other council tax discounts and exemptions. Unlike Deven, I do not think that CTRS should be integrated into Universal Credit. UC seems very much at sea now. It is time to review the purpose of UC. The original intention for the use of UC was very much about creating a financial cushion while at the same time helping people into work. That simple purpose has been eroded over its development time, largely by interventions by Chancellor. That is not what CTRS is should be a council tax discount and not a means-tested social security benefit! It has no place in UC. I would also say that the six benefits being amalgamated into UC also different purposes. Some such as JSA and Tax Credits are about short term hardship and the its associated challenges. While disability benefits are about dealing with the long-term financial challenges that are brought about by non-financial circumstances. In the former, means-testing is appropriate and defines both the degree and scope problems to be resolved and the desired outcomes. In the latter the non-financial circumstances may never change or may evolve over a longer period, Financial support in these cases helps lift people into more independent lives or simply makes the intolerable slightly less so. It is about bridging gaps that cannot easily be filled. There is no reason to create complex systems that have to support both financial and non-financial challenges simultaneously. It would better to have two separate schemes that simultaneously support both. One of the beauties of the data analysis work that WRC has been doing with Policy in Practice is that the study helps Councils define schemes that achieve the meet the needs of those in financial hardship, those where discounts better needs and those who need both types of assistance. It’s worth taking a closer look at the local authority funding issue. Funding was reduced by 10% in 2013 but has reduced each year since then as the CTR grant is lumped in with the main government grant. This of course has been reducing year on year. For 2015/16 in Oxford we calculated that the government were contributing two thirds of the cost of our scheme, which retains the same support which was provided under Council Tax Benefit rules. By the end of the Parliament government grant will reduce to zero, leaving all LA’s with some very hard choices about who to support.